Morocco Travel Guide & Tips | Travel. Made Simple. Morocco is an in-your-face overload to the senses that will be loved by some, and hated by others. Expect delicious sweet mint tea, amazing street food, overly eager street vendors and markets, medinas to get lost in, and coastal deserts to wander. What to do: Haggle hard in the local markets, visit the local hammam (bathhouse) for a spa treatment, travel the desert between towns via camelback. 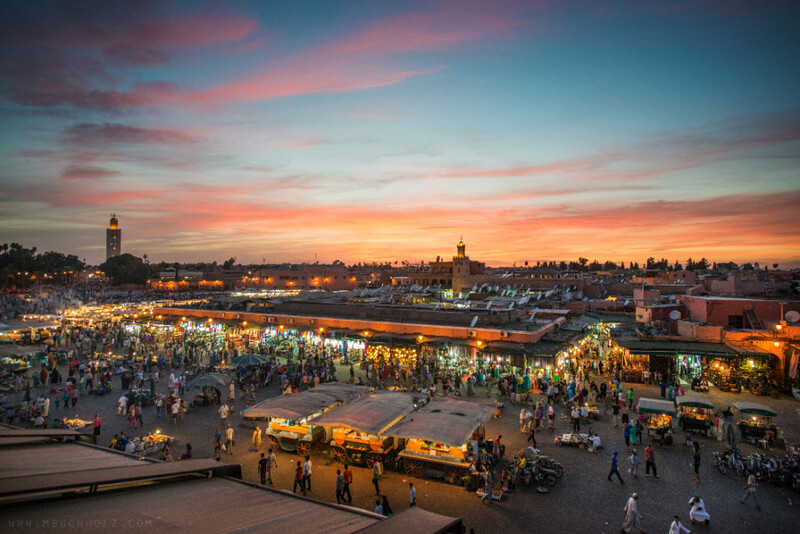 See the Jemaa el-Fnaa of Marrakech, camp in the Sahara, see the blue city of Chefchaouen, hike the High Atlas Mountains, surf in Taghazoute, and explore local history everywhere you go. When to visit: Late March through May. Summer is unbearably hot, especially inland, so stick to the mountains or costal areas if visiting during this time. Late Fall (November) can be pleasant during the day, but surprisingly cold at night. Sleep in a riad: Traditional Moroccan house built around a garden. This is the way to go! Beware of pickpocketing: Do not walk alone at night and be careful to keep anything of value very close to you. Small children are just as likely to be pickpockets as anyone else.